Bellavista Faithful - At USEA Future Event Horse Championships, September 2018. Faith was the highest scoring yearling filly nationwide. The judges scoring sheets are available and their comments were impressive! Bellavista Faithful ("Faith") is the first filly sired by Arena Maestro - our imported Cleveland Bay stallion. 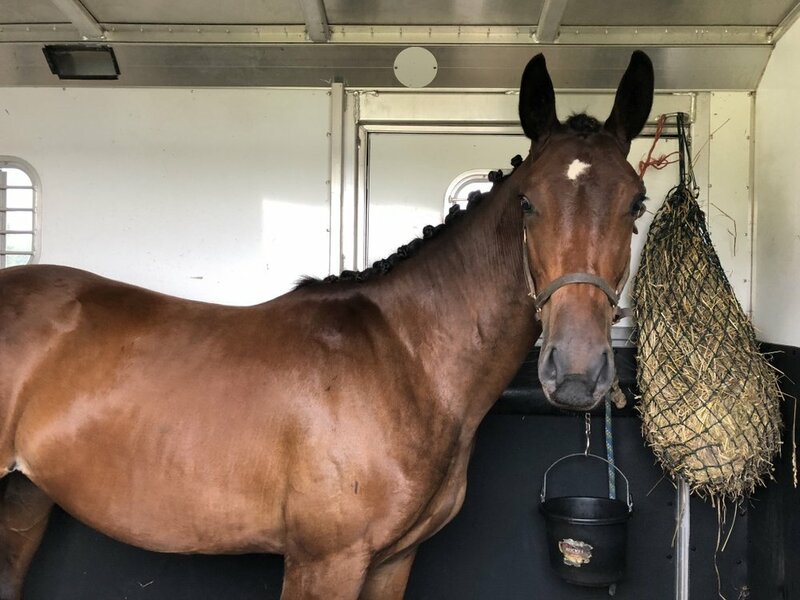 She is out of A Charming Posey (Posey), a TB mare. She has lovely movement, a femine appearance, and a kind personality. She should mature between 16 and 17hh. 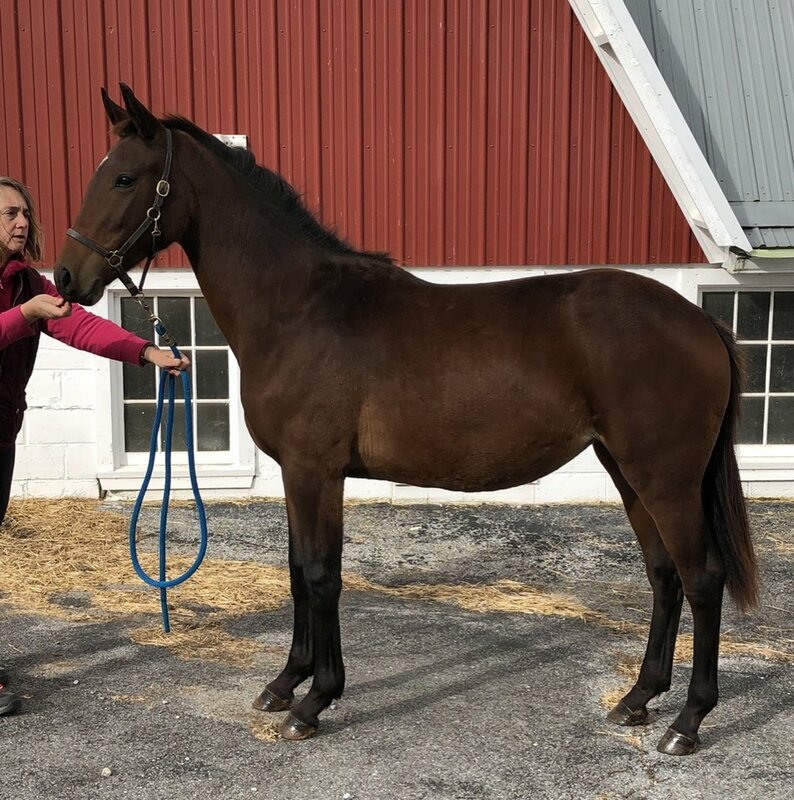 She is registered with the Cleveland Bay Horse Society and has a partbred/sporthorse passport. With her star and otherwise solid bay, Faith has the potential to be a part-bred that could produce for the grading register. Video is available.